There is a large Yorkshire stone flagged bar and snug with open fires in the winter months. Ideal for weary walkers with dogs, motor cyclists, car clubs and 4 X 4 off roaders, all wanting to relate their experiences on the road with fellow travellers and enthusiasts. The inn serves traditional home cooked fare using fresh locally sourced ingredients wherever possible. We also cater for vegans, vegetarians, gluten intolerance and offer a range of children’s meals as well. Packed lunches can be provided on request. All meals are freshly prepared so please be patient during busy times; we assure you it will be worth the wait! 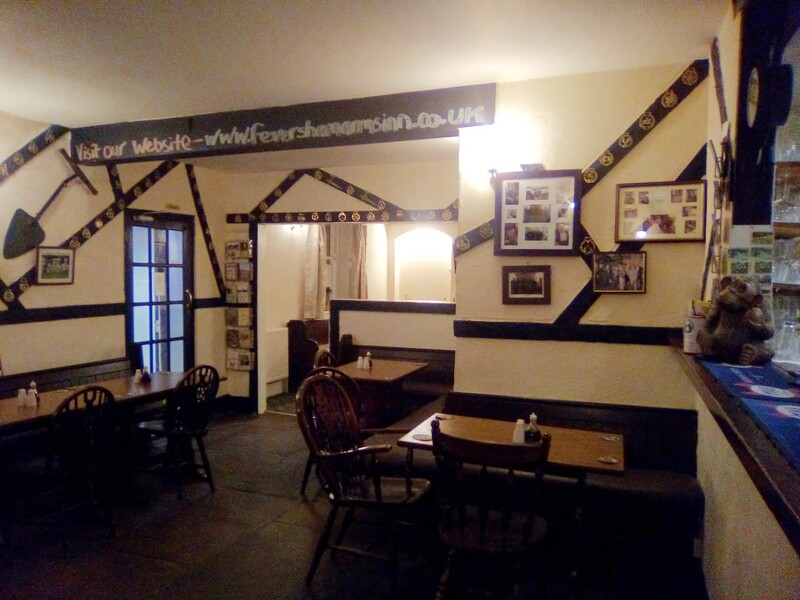 We offer a selection of real ales and draught beers together with wines, soft drinks, coffee and tea. There is a large beer garden with stunning views down the Farndale valley. Please click here to see our menu. 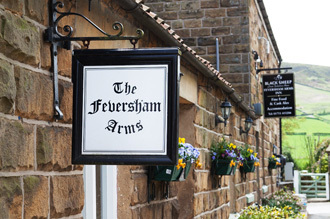 The Feversham Arms Inn has two dining rooms, both with views down the Farndale valley. They are ideal for private functions such as christenings, birthdays, weddings and wakes. The gardens can be used for marquees to provide additional space if required. We can also provide for motoring clubs, groups of walkers and shooting parties either at lunchtime or in the evening. The Feversham Arms can cater for up to 50 people in each dining room and we would be happy to discuss food and beverage arrangements and available dates on request.